Sean Rose qualified for the 2011 Griffin King of the Hammers at the ECORS Harlan Qualifier in August, 2010, on a shredded right front tire. His 914 buggy arrived in Johnson Valley last February with a bang when the transmission blew up while backing off the trailer. Sean had been Shawn Fisher's co-driver at the 2010 KOH and was determined not to lose his chance to make a dream into reality: to drive in the epic race and take his shot at a chance to raise the sceptre as King of the Hammers. He and his dedicated crew put it all back together during the week on the lake bed but he rolled going up Outer Limits on his second lap. If you've got the ability and opportunity... and you're NOT doing it... then you're doing it wrong. 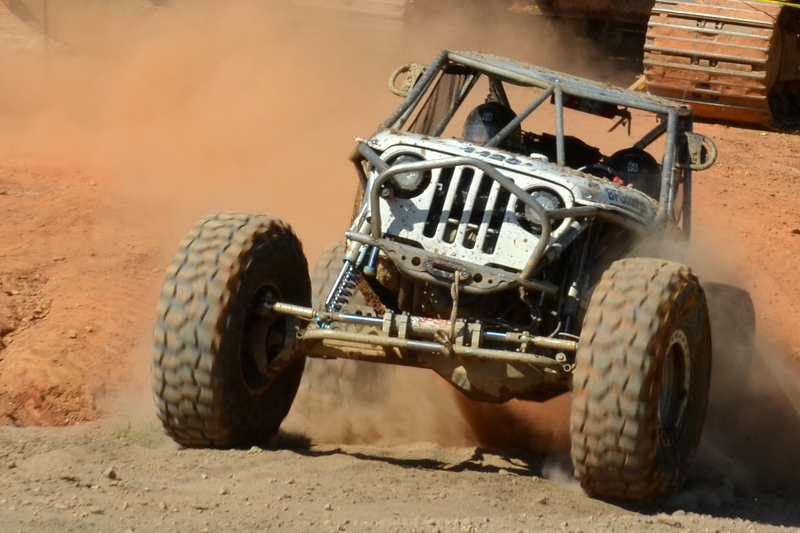 The 2012 Griffin King of the Hammers is in two weeks! Stay tuned for stories on some of our friends heading out to compete for the crown and for the new EveryMan trophy! Hammertown opens in just a little more than a week! The Gulches Presidents Day Run will be Friday, February 17 through Monday, February 21, 2012. The Tarheel Sports Car Club 2012 RallyCross schedule is up and the first event will be March 11, in Wilson, NC. Even cars (that don't mind getting dirty) are encouraged to come out and have a blast! The ECORS 2012 season opener will take place at The Flats in Marion, NC, on March 17. 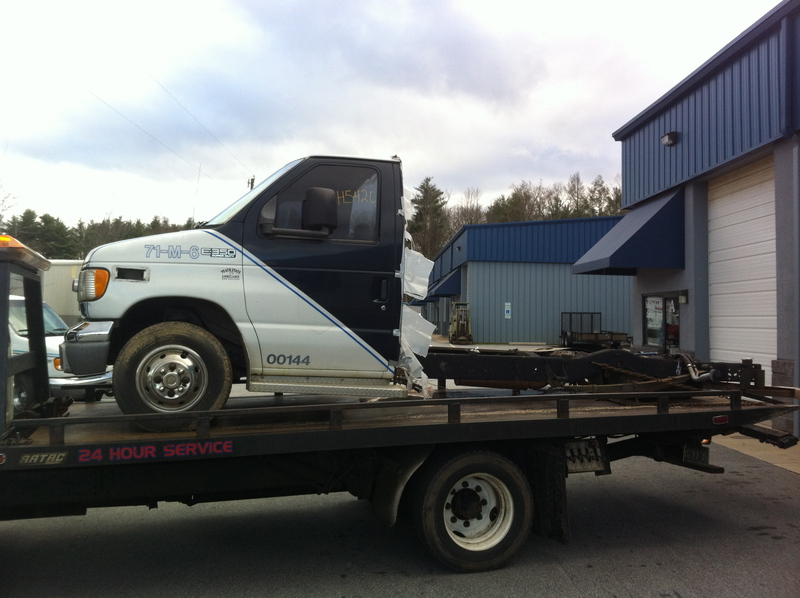 Harlan County Rescue Squad will host an April Fools Run at Black Mountain Off-Road Park in Evarts, Kentucky, the weekend of March 30 - April 1, 2012. They've added a zipline to the park and they are working on adding paintball courses, as well. The trails at Uwharrie National Forest open for 2012 at 10am on Friday, March 30! 2012 Jeep Beach registration is now open. This annual event of Jeep enthusiasts celebrating a passion for off-road vehicles will be held in Daytona Beach, FL, April 25 - 29. The second 2012 ECORS race will take place on May 19, at The Great American Park in Auburn, AL. ECORS has announced that race #3 will be July 7, at Durhamtown Plantation in Union Point, GA. With this event, there will also be many other happenings July 4 week and weekend at Durhamtown!!! 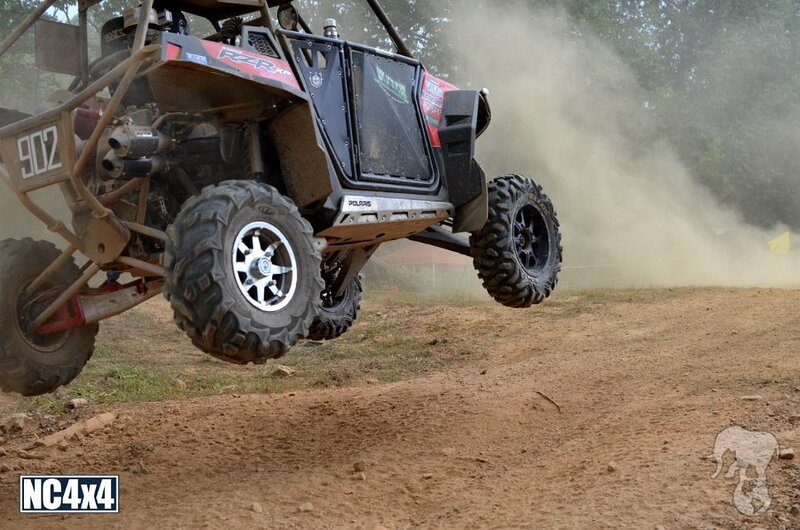 MX, ATV, SxS, and 4x4 events all week and weekend to keep everyone entertained! ECORS will only be using a small section of the 4x4 trails, so bring your rig to the race and enjoy some of the other trails at the complex! The 2012 Open Run at Crozet will be this Saturday, January 21 & Sunday, January 22, 2012. Search 6000 Bearwood Rd., Crozet, VA 22932 for directions. A non-member pre-registration form can be found on the RCPFA website here. 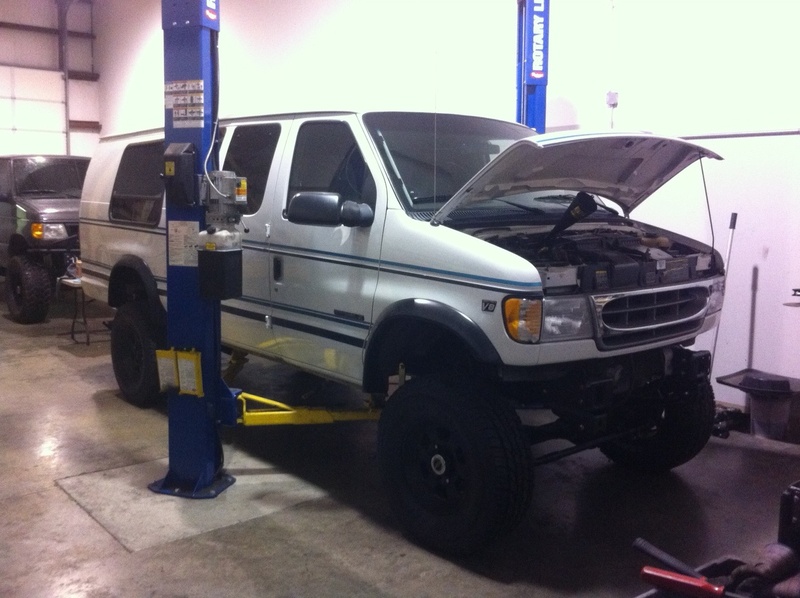 The 2012 Griffin King of the Hammers is fast approaching! Hammertown opens in just a little more than two weeks! The Gulches Presidents Day Weekend will be Friday, February 17 through Monday, February 21, 2012. The 2012 ECORS season will kick off at The Flats in Marion, NC, on March 17, 2012. The 2012 General Tire Mint 400 race will be held March 23 - 25 in Las Vegas, Nevada! Live Coverage will be available at Race-Dezert.com! Stéphane Peterhansel won the Dakar 2012 over the past weekend. During the 46-year-old Frenchman's off-road career he has won the race an impressive 19 times, in various classes, since his debut in 1991. This year he won 3 of the 14 stages and, thanks to no major reported problems, finished the 5205 brutal miles from Argentina to Peru almost 42 minutes faster than second-place finisher Nani Roma from Spain. There was quite a bit of drama played out over the course of the last 5 or so stages, after Robby Gordon was accused of using his tire inflation system to boost his motor's performance and many thought Peterhansel should have been reprimanded and penalized for clipping an Italian motorbike racer on the course. Robby maintained his innocence and cited the fact that the tech inspectors passed his vehicle. Gordon even went so far as to plug the system and won Stage 12 to prove it did not affect performance. Robby also won three of the 14 stages and finished fifth overall with a time of +02:16:53. He came as close as second place over the course of the race, but had several poor days with various mechanical problems, something he knew would weaken his chances at his first Dakar win. We're compiling a list of events scheduled for the first half of 2012. Get out your calendars! 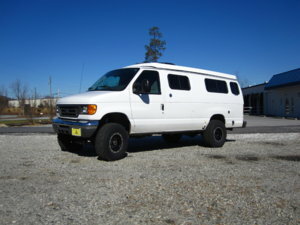 Rock Corps 4x4 Club will be having an open ride on January 14, 2012, at The Flats to raise money for a family in need. Gates will open at 8am and close at 6pm. Fees are $10 per rig, $5 per person, for the day. All proceeds will go to the family. The NCRCC 2012 Qualifying Series Event #3 will be at Rhodhiss on Sunday, January 22, 2012. Course Building begins at 8:30am. There will be a Drivers Meeting at 9:15 and the competition starts at 9:30am. The 2012 Open Run at Crozet will be Saturday, January 21 & Sunday, January 22, 2012. Search 6000 Bearwood Rd., Crozet, VA 22932 for directions. A non-member pre-registration form can be found on the RCPFA website here. The 2012 Griffin King of the Hammers is February 10, 2012, less than five weeks away! Hammer Town officially opens February 3rd, on the lake bed. The Gulches Presidents Day Run Weekend will be Friday, February 17 through Monday, February 21, 2012. A preregistration discount form can be found on the Gulches home page. The ECORS 2012 schedule has been posted! The season opener will take place at The Flats in Marion, NC, on March 17. The 2012 General Tire Mint 400 race will be held March 23 - 25 in Las Vegas, Nevada! The 2012 event will feature a new Casey Folks-Designed 400-Mile Course, a Side-by-Side (2X) Start, new Spectator Areas (including a High-Speed Passing Zone), increased TV coverage, Live Coverage via Race-Dezert.com and more! The 4x4cross Season Opener and National Throttle King Qualifier Weekend will kick off on Thursday, March 29, at the Dirty Mo' with DOT Light & Heavy Comp Pulls. The weekend will include the Third Annual Efird Memorial Ride at the Devils' Playground on Saturday, March 31. The trails at Uwharrie National Forest open for 2012 at noon on Friday, March 30! 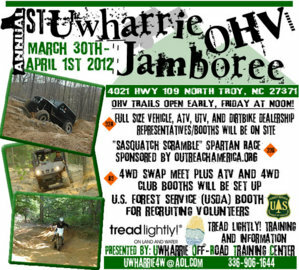 The First Annual Uwharrie Off-Highway Vehicle Jamboree will celebrate the early opening of the trails at UNF! 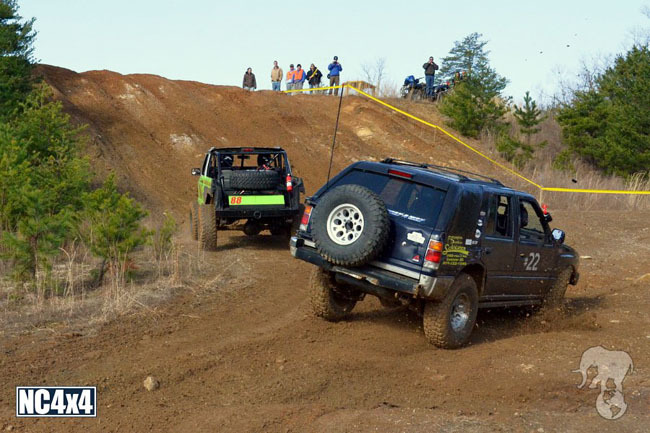 Hosted by the Eldorado Outpost and the Uwharrie Off-Road Training Center (UORTC), the Jamboree will include a Swap Meet, vendor booths and a Spartan Race (mud run), March 30 - April 1, 2012. The website will be updated soon with a list of vendors. The Straight Diesel Season Opener Sled Pull and Mud Race will be April 14, 2012 in Peachland. 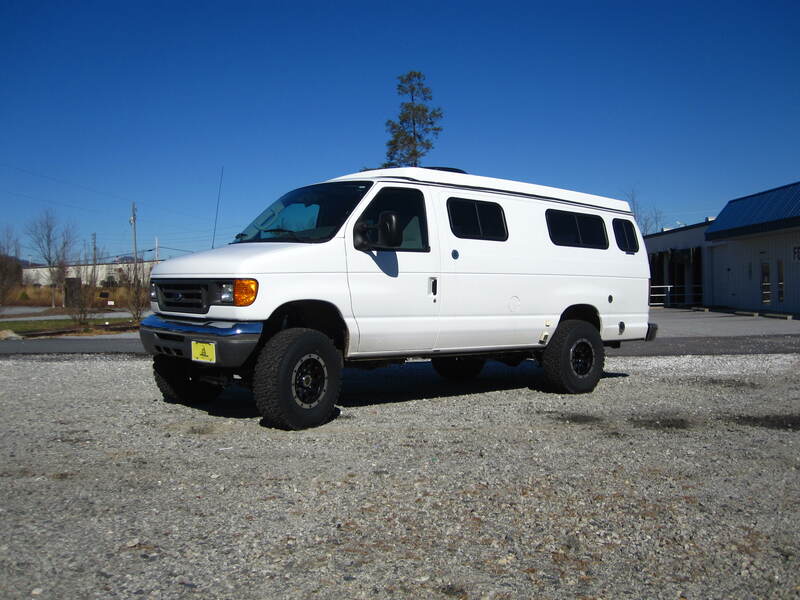 Rules for this and several other regional venues have been posted in the 4x4Cross forum. Rock Corps 4x4 Club will host an Open Invite and Benefit, Down and Dirty For Life, on April 20-22, 2012. The gates will open at 9am on Friday and close at 5pm on Sunday. Admission is $10 per rig, $10 per person, kids 16 and under are free. Camping is free. Fees go to benefit the American Cancer Society. 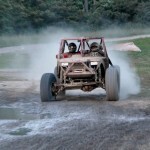 The Spring Farm weekend, hosted by the Big Dixe Boggers, is scheduled for May 4-6, 2012. The Farmington Dragway Straight Diesel Pull and Mud Race will be June 9, 2012, in Mocksville, NC. 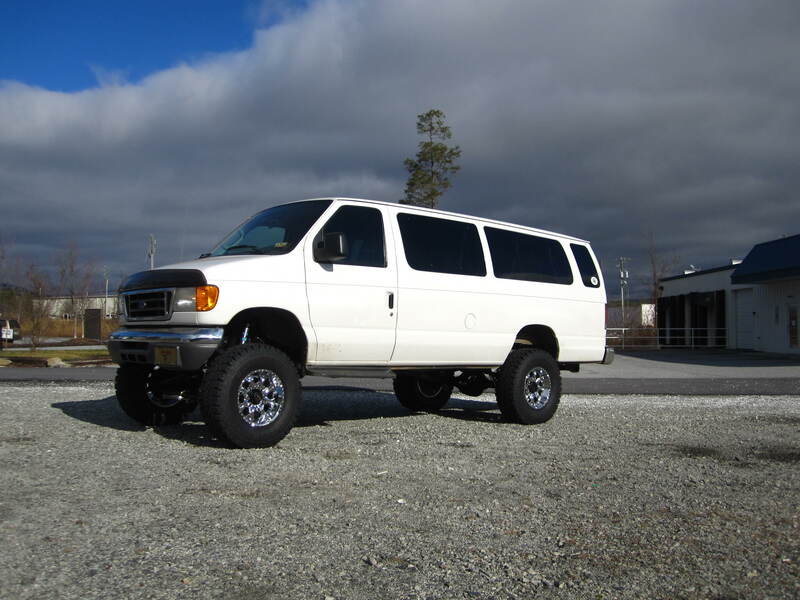 The Bottomland4x4 Annual Bog For Charity will be June 16, in Mount Airy, North Carolina. For the first time, starting order for King of the Hammers main race will be determined by a qualifying race. More than 70 Last Chance Qualifier contestants will be competing for one of 20 spots remaining... while 90 pre-qualified racers will be competing for their starting order in the 2012 Griffin King of The Hammers. 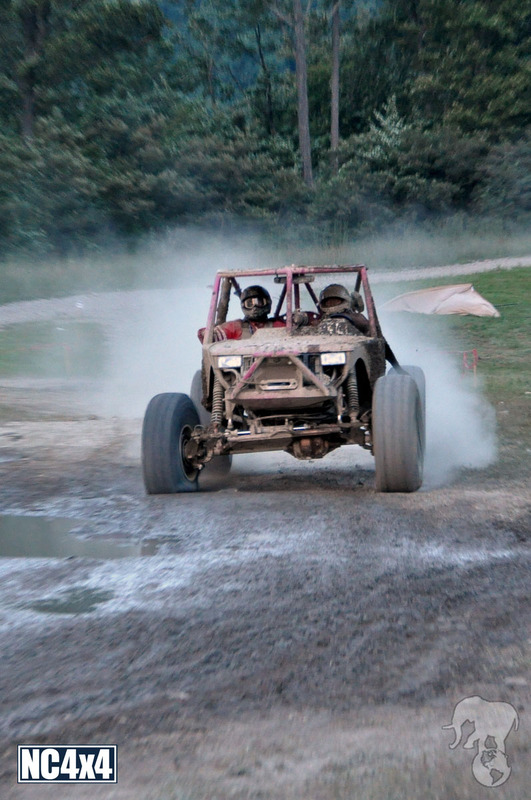 The qualifying races will take place Tuesday and Wednesday, February 7 & 8, on the 4Wheel Parts Qualifying course. Some of the qualifying races will be televised during the Ultra4 “Happy Hour”. ECORS veterans BJ Allen, Sean Rose will both qualify on Wednesday. It also looks like the rumors are true and Robby Gordon will race KOH! Robby Gordon won Stage 9 of Dakar 2012 yesterday but still trailed leader Stephane Peterhansel by 5'58” in the general standings. Co-driver Johnny Campbell said, "RG was matted at 205kph! Omg I was freaking out!!!" Gordon/Campbell are closing the gap in Stage 10 today. It's early in the year but we're compiling a list of events scheduled for 2012. Get out your calendars! Heaven forbid someone sign you up to attend a wedding when you could be wheeling! If your club has an event planned and you want folks to know about it, let us know or post it up in the Upcoming Events Forum! There will be an Open Run at Crozet (both existing members and prospective members/nonmembers are eligible to attend) Saturday, January 21 & Sunday, January 22, 2012. Search 6000 Bearwood Rd., Crozet, VA 22932 for directions. A non-member pre-registration form can be found on the RCPFA website here. Crozet is privately owned land maintained by RCPFA and is NOT open to the public at any other time unless arranged via the RCPFA (Rock Crawlers for the Preservation of Future Access) Board of Directors. All persons attending must either drive their rig or have a seat in another rig, no spectators are allowed at wheeling events. 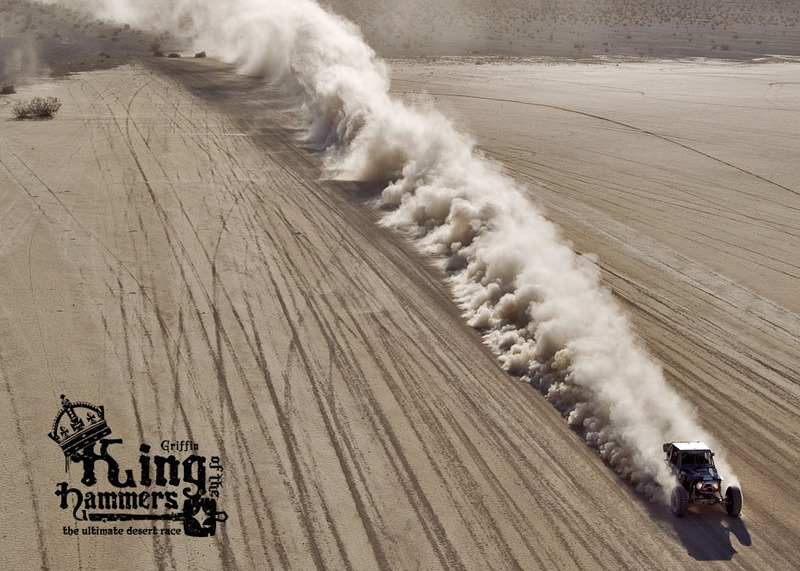 The 2012 Griffin King of the Hammers is February 10, less than five weeks away! Hammer Town officially opens February 3rd, 2012, on the lake bed. Hammerking Productions has announced the addition of the King of the Motos race, at 11am Thursday, February 9, 2012. 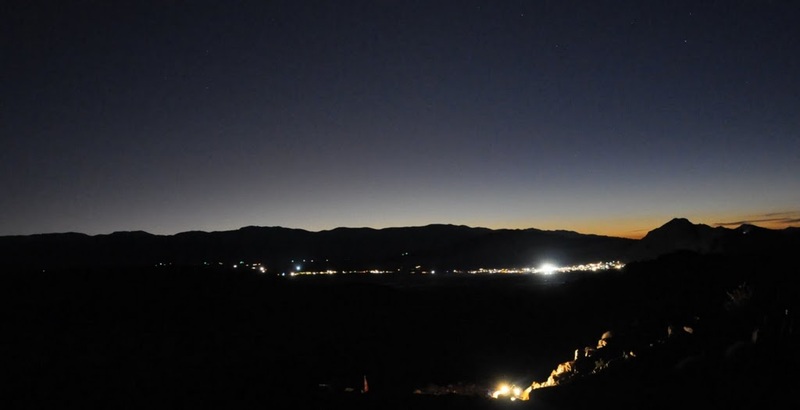 The sixty-five mile course will feature a demanding combination of high-speed Baja-style desert racing and ten miles of extreme rock terrain that will rival Erzberg. An invitation-only field of twenty top riders from the enduro, desert racing and trials world will compete for the King of the Motos crown! Friday, February 17 through Monday, February 21, 2012, is the Gulches Presidents Day Run Weekend. Always the biggest day of the year, last year's President's Day (Save the Gulches) Run brought over 500 rigs and helped keep the park afloat. Mark your calendar, you don't want to miss the Southeast's biggest kick off event of the year. A preregistration discount program form will soon be up on the Gulches home page. There is an off-season workday for clubs that are a part of the Forest Service Partner Program scheduled for February 25, 2012 at Uwharrie National Forest. There is an off-season workday for clubs that are a part of the Forest Service Partner Program scheduled for March 17, 2012 at Uwharrie National Forest. The trails open this year at noon on Friday, March 30! 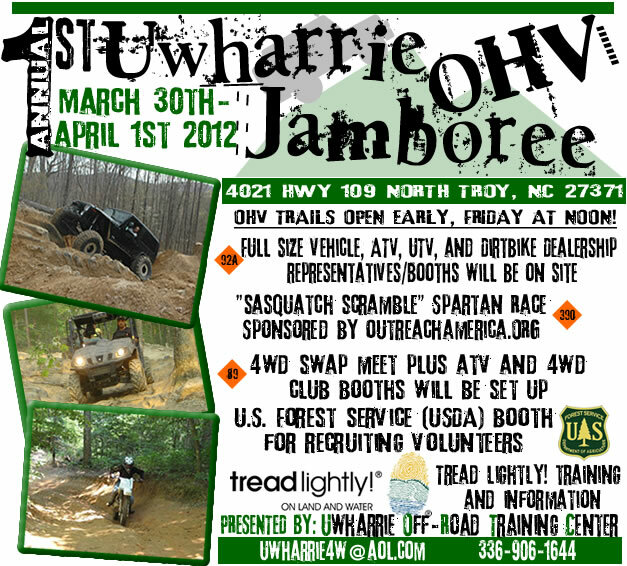 The First Annual Uwharrie Off-Highway Vehicle Jamboree will celebrate the early opening of the trails at UNF! 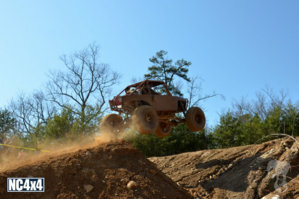 The Eldorado Outpost and the Uwharrie Off-Road Training Center (UORTC), located across Highway 109, will host 25 acres of family-friendly OHV fun, including a Swap Meet, vendor booths and a Spartan Race (mud run), March 30 - April 1, 2012. The website will be updated soon with a list of vendors. Rock Corps 4x4 Club will host an Open Invite and Benefit, Down and Dirty For Life, on April 20-22, 2012. The event will combine everything great about wheeling at The Flats with a fundraiser to benefit the American Cancer Society. There will be a tent with Cancer Information, event t-shirts and rubber bracelets, vendors and a raffle. One of the raffle items will be a handmade Cancer Awareness quilt. Luminaries will be lit at dusk on Saturday in remembrance and support of anyone who has battled cancer. The gates will open at 9am on Friday and close at 5pm on Sunday. Admission is $10 per rig, $10 per person, kids 16 and under are free. Camping is free. The Spring Farm weekend, hosted by the Big Dixe Boggers, is tentatively scheduled for May 4-6. Stage 6, Faimbala-Copiapó, of the Dakar 2012 had to be cancelled due to bad weather continuing over the Andes Mountain Range. The Dakar was scheduled to cross over the Andes for the seventh time but, with temperatures in the high teens (-8°C / 17.6°F), unfavorable weather conditions and the need to guarantee the security of the competitors and those following the rally, and the Chilean authorities were forced to close the border at the Paso de San Francisco pass for the night. January may be summer in the southern hemisphere, but the rugged landscape of Argentina and Chile includes mountain passes at over 15,000 feet and hairpin descents. The convoy stretched out along the route to its destination, with the last crew driving Toyota Land Cruiser No.392, along the Paso San Francisco pass and on to Copiapó, Chile, the start and finishing point of the 573-km Stage 7. Sunday will be a rest day followed by Stage 8 from Copiapó to Antofagasta. The rally's longest special stage will be used to allow the competitors to get back into the pace of the competition. On the stone-covered tracks which will lead to Antofagasta, the pace will be rather intense, but this will not prevent the drivers from catching sight of some magnificent views.